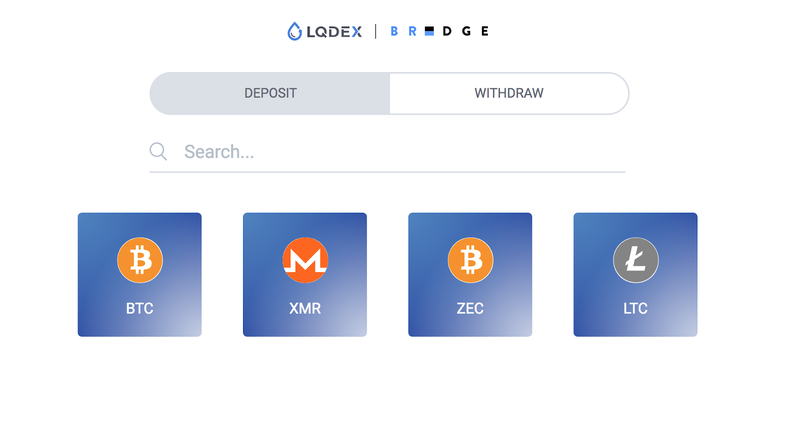 LQDEX is excited to announce and introduce LQDEX Bridge. Bridge will serve as an auxiliary for existing decentralized exchanges. Let’s say William only owns Bitcoin. He discovers a new ERC20 token called PAC on the market. The PAC project aims to build the next generation of payment channels. After reading their whitepaper and researching their team, William believes they are capable of executing this, but unfortunately, William has missed the token sale. How can William get PAC tokens into his portfolio when he only owns BTC? Go to a popularized centralized exchange. Search for a trading pair for BTC/PAC. As centralized exchanges are becoming more rent-seeking and it is becoming harder to list tokens on centralized exchanges. Very few ERC20 tokens have been registered on centralized exchanges off recently, like Binance, because of the cost of listing. First, buy ETH with BTC. Send ETH back to DEX, such as EtherDelta, where ERC20 tokens are listed and traded. Finally, trade ETH/PAC to add PAC tokens into portfolio. 2. Find DEX that supports trading ETH/PAC. Still, two additional steps are required to acquire PAC because ETH must be traded for BTC before trading ETH for PAC. Bottom line: There cannot be direct pairs such as BTC/PAC to trade anywhere on decentralized exchanges that are built on Ethereum. There is no easy way to trade assets that are created on a different blockchain or platform on Ethereum DEX. Why do we need LQDEX Bridge? It enables existing DEX specifically trading ERC20 tokens only at the moment (Radar Relay, Airswap, EtherDelta, etc.) to be able to support trading of BTC, LTC and other external blockchain assets. 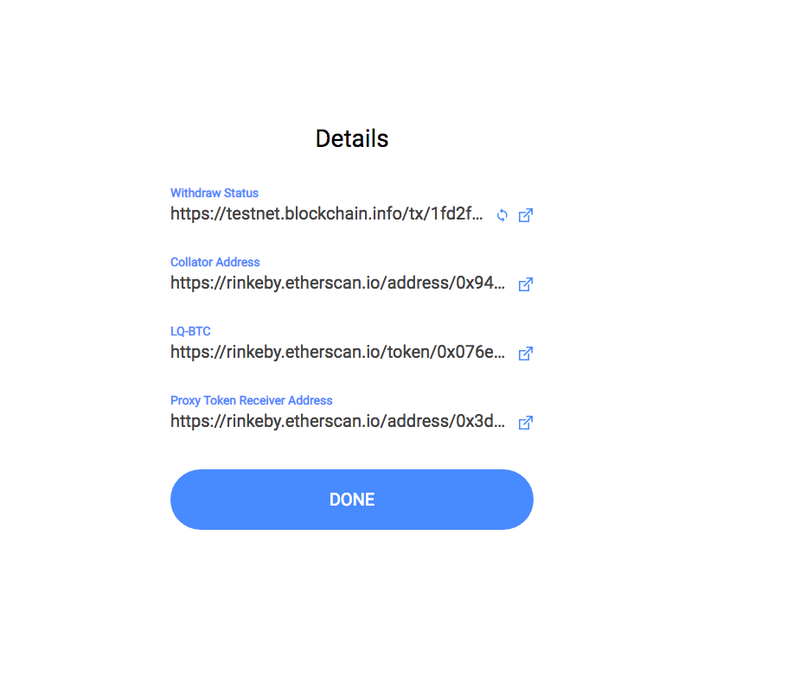 Existing DEX on Ethereum can trade ERC20 vs. Non-ERC20 assets directly via LQDEX Bridge. All of the above transactions using the bridge will be trustless. How does LQDEX Bridge work? 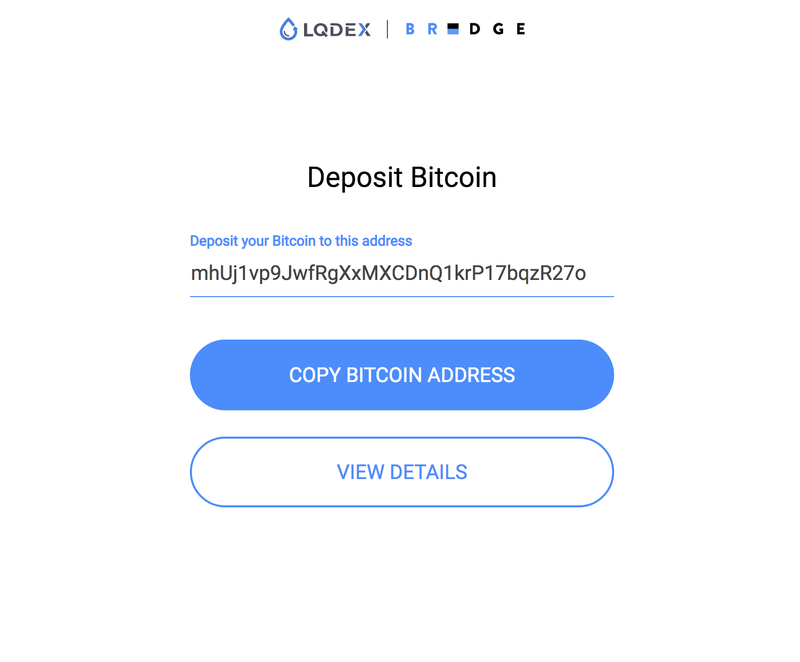 Bridge operates through economically incentivized entities called Collators to stake X amount of LQD tokens in order to accept deposits of external assets like Bitcoin, Litecoin, etc. During the initial alpha release of the LQDEX Bridge, LQDEX will act as the sole Collators and focus on exposing APIs to seek out other potential collators. 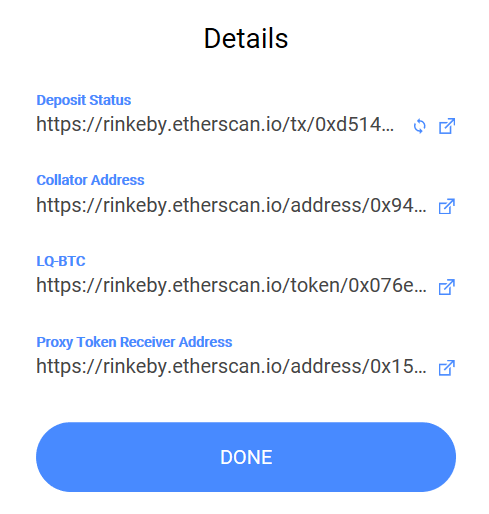 For every bitcoin (or any other asset) that is deposited into the bridge, there is an equal amount of proxy token that is minted. 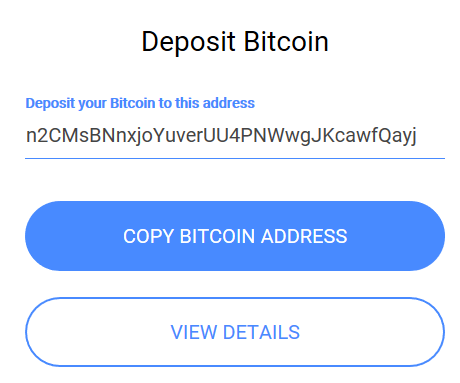 You deposit 1 BTC on the Bridge. 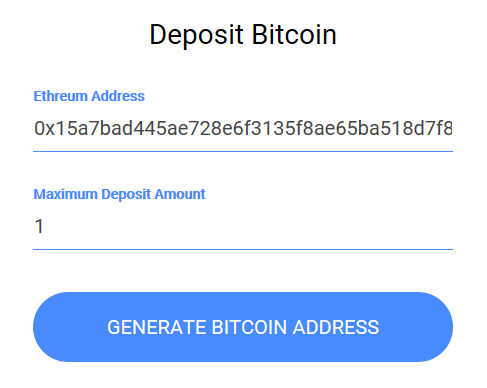 Bridge will send you 1 LQ-BTC which is an ERC20 token, to the address that you have specified. LQ-BTC can be traded on EtherDelta. In order to directly trade on EtherDelta there is no need to list them on EtherDelta but it is likely you will have to utilize smart contracts to approve and deposit methods yourself. LQ-BTC can be also traded directly on LQDEX Bridge as alternate options and the order book will show orders pairs i.e LQ-Tokens vs [Spank, ZRX, or other ERC20]. 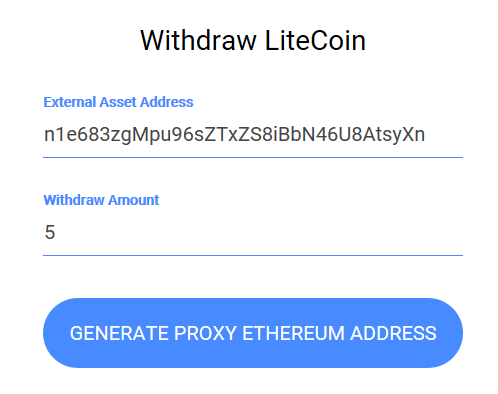 How can users withdraw the proxy LQ-BTC, LQ-LTC, etc. into actual assets? You will hold your proxied asset such as LQ-BTC in one of the Ethereum addresses. Maximum amount of proxy tokens that you will want to liquidate to real assets. 3. Then you will send your proxied asset to a specified address that the bridge UI just displayed. 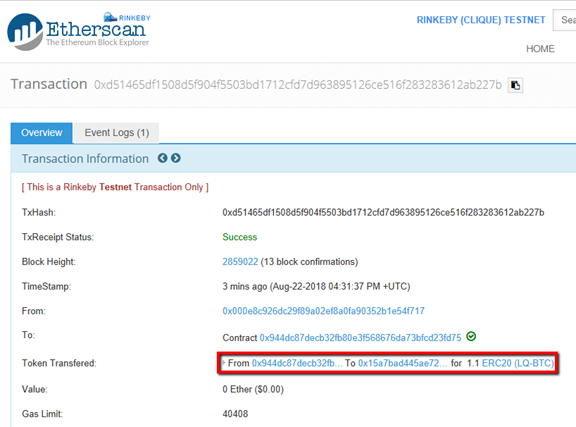 More thoroughly, send your LQ-BTC to the specified address that was generated and then Bridge in the backend will trigger set of transactions to Ethereum collator smart contract that will help destroy those LQ-BTC tokens. 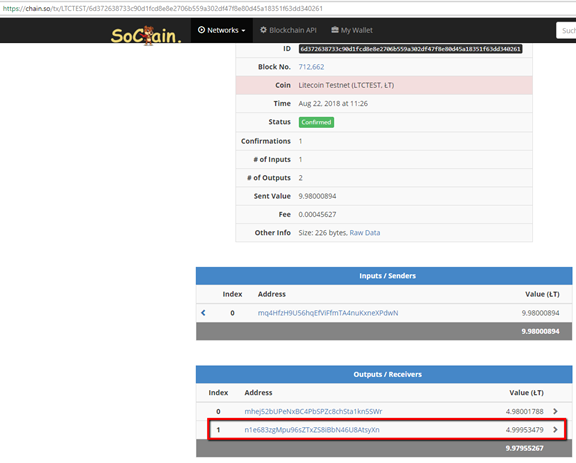 Once those LQ-BTC are burnt, collator will send the amount the tokens that were burnt in BTC to the user who posted that withdraw action. 4. You will be able to track all the transactions that the Bridge backend is sending on the Bridge View details screen. We will describe it with BTC and ETH since we have not implemented PAC yet in alpha version. 1. 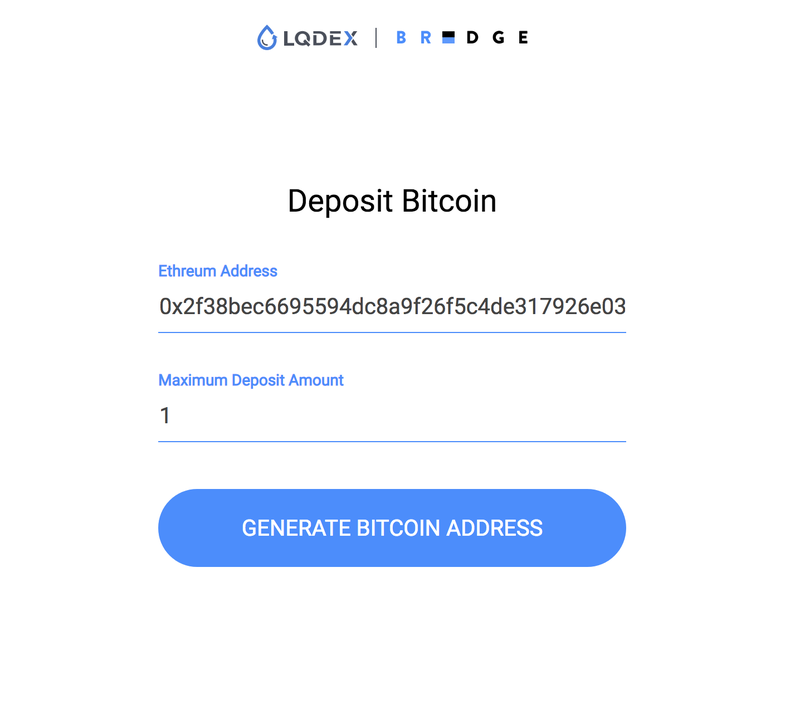 Ready an Ethereum address to receive LQDEX token(such as LQ-BTC, LQ-LTC and LQ-ETH) to. Let’s say you have `0x15a7bad445ae728e6f3135f8ae65ba518d7f8769` as an ETH address, and `n1e683zgMpu96sZTxZS8iBbN46U8AtsyXn` as LTC address to withdraw LTC to. 5. After you transfer 1 BTC, you should get 1 LQ-BTC token in an hour. Additionally, you can check the status by clicking the `View Details` button. 6. Now you have 1 LQ-BTC and can exchange your LQ-BTC to LQ-LTC on EtherDelta. We assume that somebody has already owned some LQ-LTC and he is going to exchange it for LQ-BTC on EtherDelta. It’s definitely possible because of LQ-BTC and LQ-LTC are all ERC20 tokens and EtherDelta can support those as an asset that can be traded each other. 7. After exchange your LQ-BTC to LQ-LTC in step 6, you have X LQ-LTC. Remain thing is how to get withdraw your LQ-ETH to ETH. 11. After you transfer X LQ-LTC, you should get X BTC token in an hour. Additionally, you can check the status by clicking `View Details` button. Perfect. 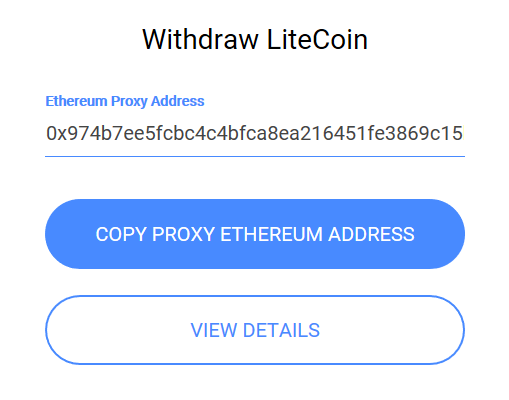 Now you have 5 LTC as a result of the above steps! 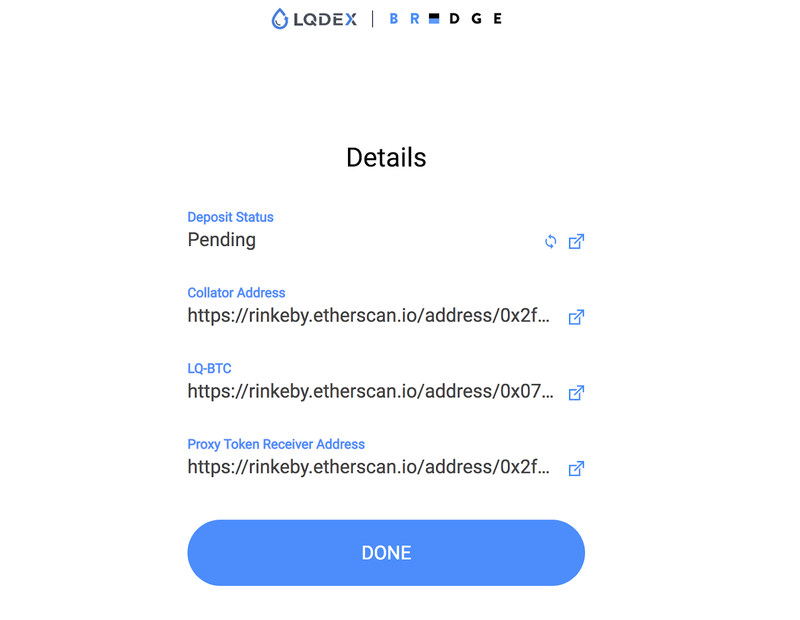 LQDEX Bridge development is nearing completion. We will be releasing the smart contract and UI development libraries in the coming weeks for public audit. Bridge Alpha is due launch in mid-September.